The MBS is a new, simple and effective way to adjust the breathing performance of your Legend LX. The MBS controls two functions at one time. It controls the direction of air, which alters the venturi effect, as well as changes the opening effort. One control- two functions, it doesn't get any easier. 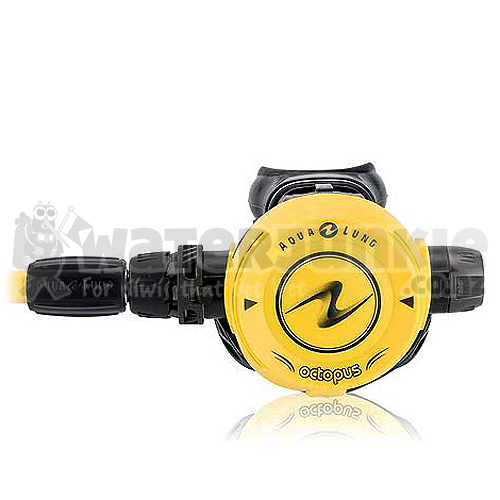 The Aqua Lung Legend LX regulator is smart, innovative and feature-rich for the most discriminatory divers. These marvels of engineering have unsurpassed performance when it comes to ease of breathing, smoothness and a natural breath feeling. The Aqua Lung Legend LX looks sharp and is built to last. The ergonomic exhaust tee channels the exhaust bubbles out of your field of vision. The design also contributes to a reduction in exhalation effort. 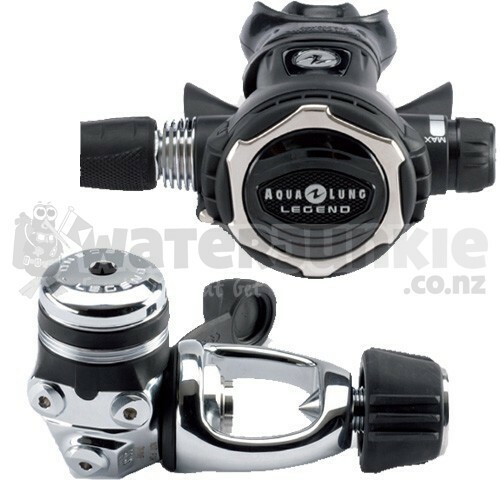 The Aqua Lung Legend LX Scuba Regulators of the past have been recognized throughout the industry as one of the best breathing Scuba Regulators on the market. The New Legend LX is no exception.